FORT MYERS, Fla. – A networking event turned into an educational meeting on Thursday as local activists continued to raise awareness about Lake Okeechobee Water releases. 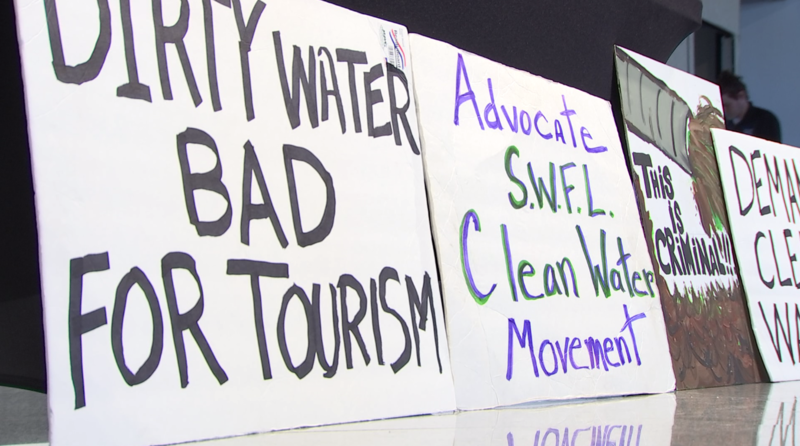 Activists said the fight against billions of water being released into the Caloosahatchee is far from over — this despite an announcement that the water sent to Southwest Florida will not be increased. One major point at the meeting was empowering people to press politicians for permanent solutions. “I think networking is really important, especially to help someone have a voice. Like if people don’t know about what’s going on to give them that voice then that carries on and spreads. You know, word of mouth is very powerful,” John Heim of the Southwest Florida Clean Water Movement said. Oklahoma senator and Public Works Chairman Jim Inhofe said he is committed to passing the Everglades Restoration Project, which would send lake overflow to the Everglades.